There is no doubt that among the great soul/funk groups of the 70s and early 80s, the Isleys were the baddest. They had the look down better than anyone; they had the smoke coming up from the ground in their concerts; and, more importantly, they could move from smoking funk songs like "Fight The Power" and "That Lady" to sweet ballads such as "For The Love of You" and "(At Your Best) You Are Love" with a seamlessness no one else could match. 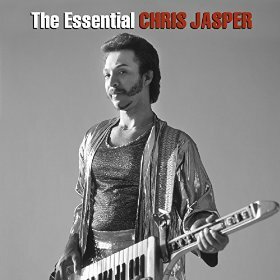 And while it is clear that Ronald Isley's magnetic voice and Ernie Isley's searing guitar solos were deserving of the kudos they've continued to receive to this day, Chris Jasper's influence on the unique sound of the Isleys has often been overlooked. 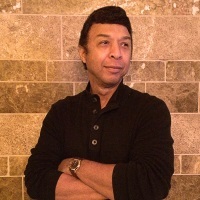 His keyboard and moog work was the underpinning of the group's great dance tunes and was a key to their classic ballads such as "Groove With You" and "Between the Sheets." Born in Cincinnati as the youngest of seven, Jasper moved to New York after high school, earning both an undergraduate degree and, ultimately, a law degree. The brother-in-law of the Isleys (his older sister Elaine married Rudolph), Jasper was part of the younger trio (with Ernie and Marvin Isley) that joined the veteran Isley Brothers (Ronald, O'Kelly and Rudolph) for the legendary 3+3 album in 1972. It blew the dials off of Soul Radio as perhaps the first album that truly merged the hypnotic metal sounds that Hendrix created with the infectious funk that James Brown and his descendants had been making for 10 years. Jasper and the younger Isleys brought a fresh, raw sound to the group and top-notch songwriting skills to boot. After 13 years and 11 gold albums, the 6-member Isley Brothers group split, and the three younger members formed Isley/Jasper/Isley. I/J/I recorded three albums on Columbia/Epic, scoring big time with "Caravan of Love," one of the definitive soul songs of the 80s (later remade and taken to #1 by the Housemartins) and a tune that bore the clear imprint of Jasper as its principal writer and vocalist. Isley/Jasper/Isley split in 1988, after which Ernie Isley recorded the terrific High Wire CD before reuniting with Ronald and Marvin in the early 90s for a 3-member Isley Brothers act (now a duo). Jasper elected to go solo, creating his own Gold City label and signing a distribution deal with CBS. His first album, Superbad, continued the smooth, keyboard-laden sound that I/J/I had shown in their three discs, and scored a #1 R&B hit with the title cut. He followed with the equally impressive Time Bomb CD before shifting his focus to Gospel music with 1992's Praise the Eternal. 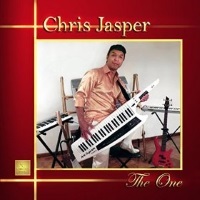 He continued to record throughout the decade, releasing Faithful and True in 2003 and The Best of Chris Jasper: With Love, a solo career retrospective of love songs, in 2004. In 2006 he released Amazing Love, perhaps his finest solo CD and a return to a funkier sound. He followed it with another strong album, Invincible, before issuing another compilation of more upbeat material called Everything I Do. In 2013, Jasper released Inspired, arguably his strongest work in years. The single "Any Day," which debuted on SoulTracks as a First Listen, became one of the most popular segments of that series.